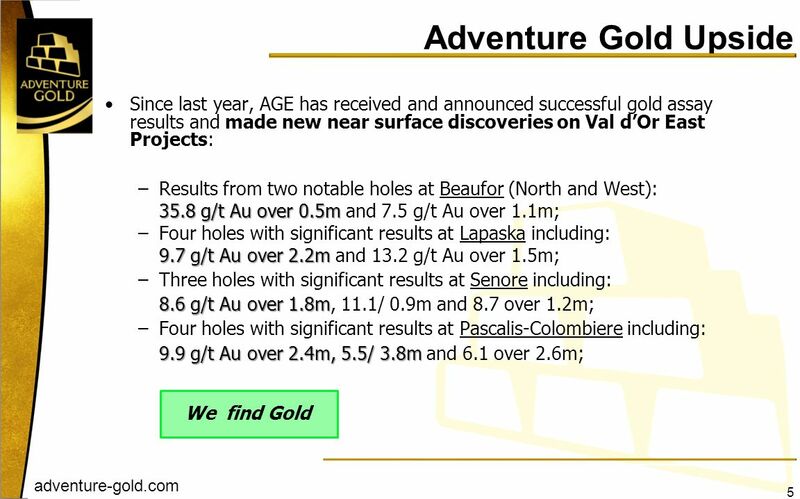 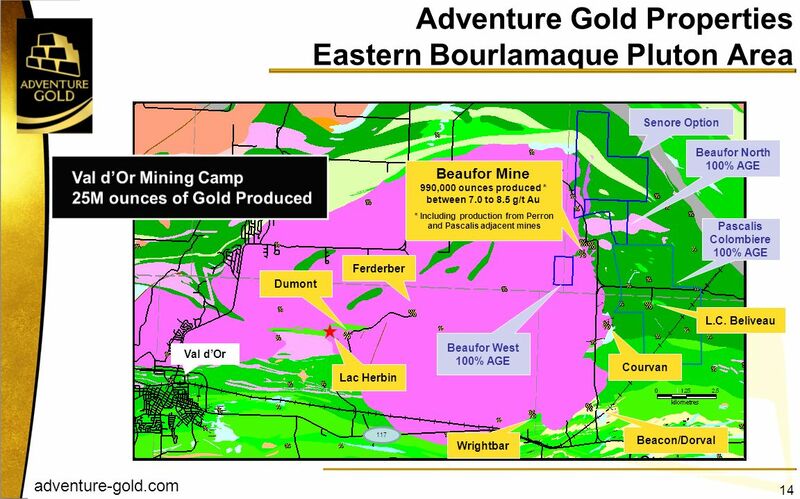 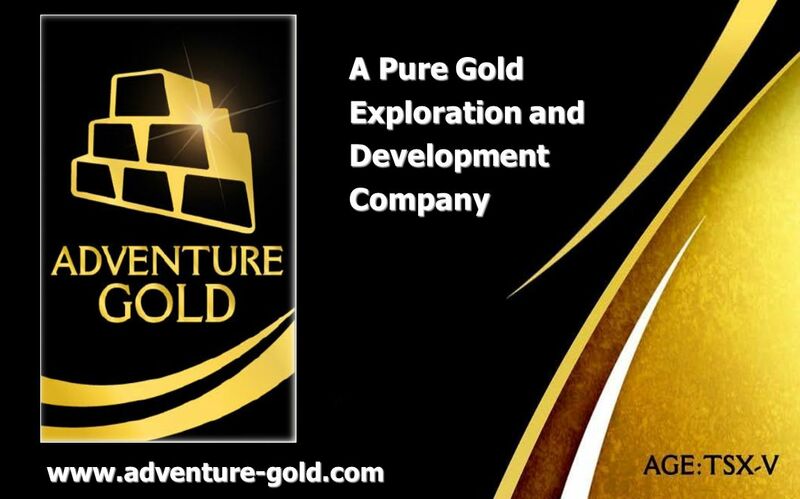 A Pure Gold Exploration and Development Company www.adventure-gold.com. 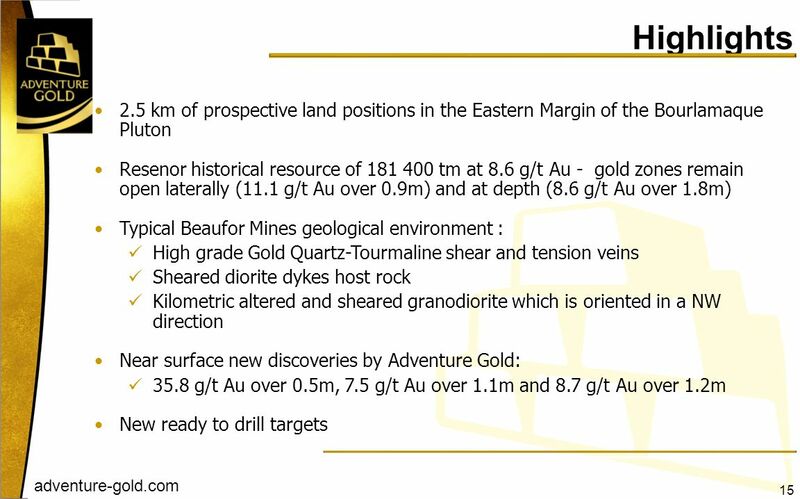 This presentation may contain forward looking statements, being statements which are not historical facts, and discussions of future plans and objectives. 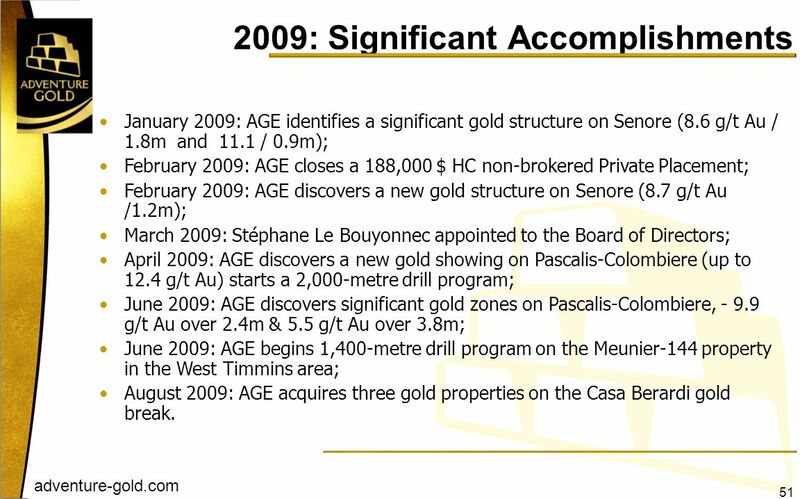 There can be no assurance that such statements will prove accurate. 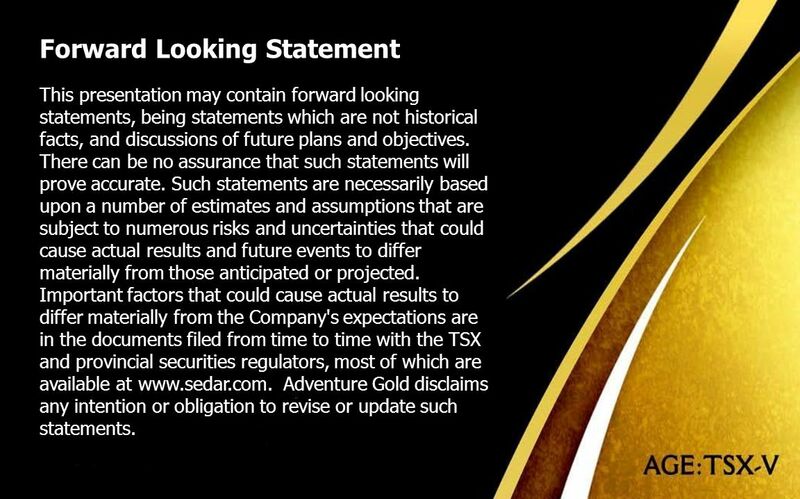 Such statements are necessarily based upon a number of estimates and assumptions that are subject to numerous risks and uncertainties that could cause actual results and future events to differ materially from those anticipated or projected. 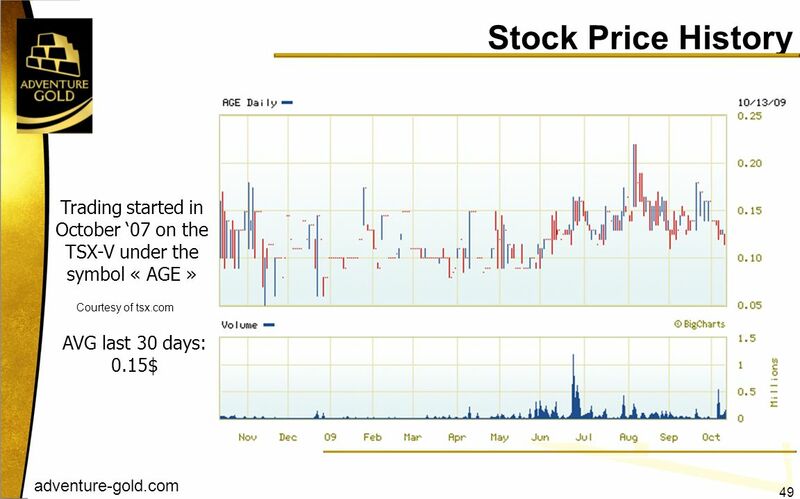 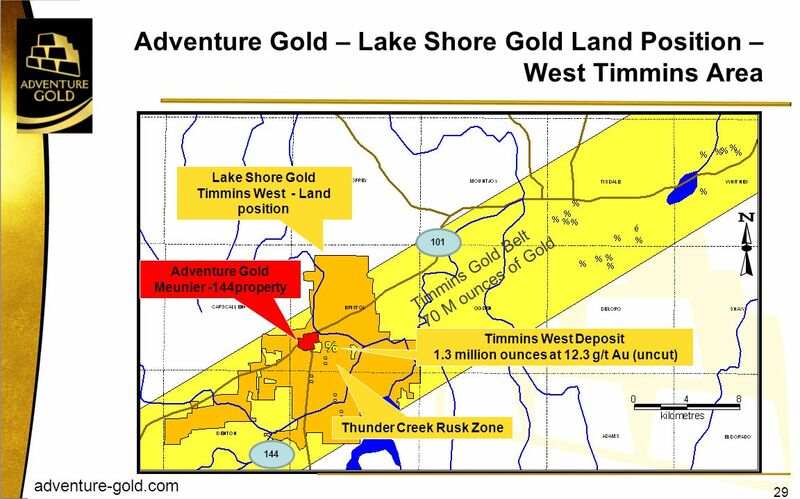 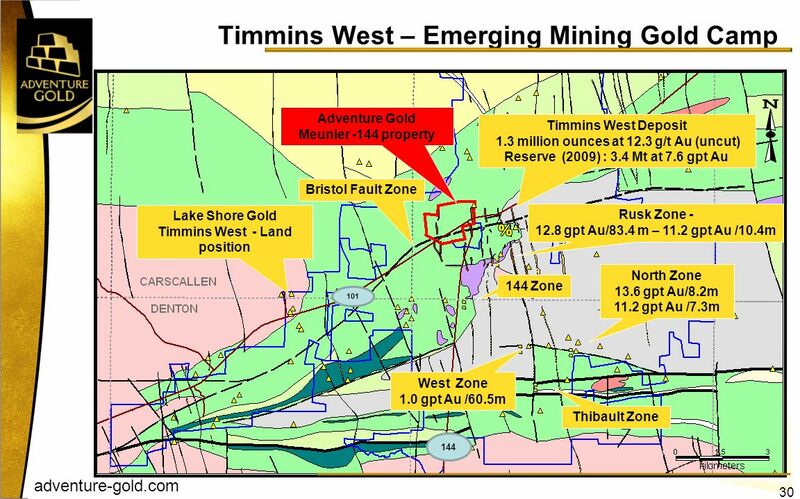 Important factors that could cause actual results to differ materially from the Company's expectations are in the documents filed from time to time with the TSX and provincial securities regulators, most of which are available at Adventure Gold disclaims any intention or obligation to revise or update such statements. 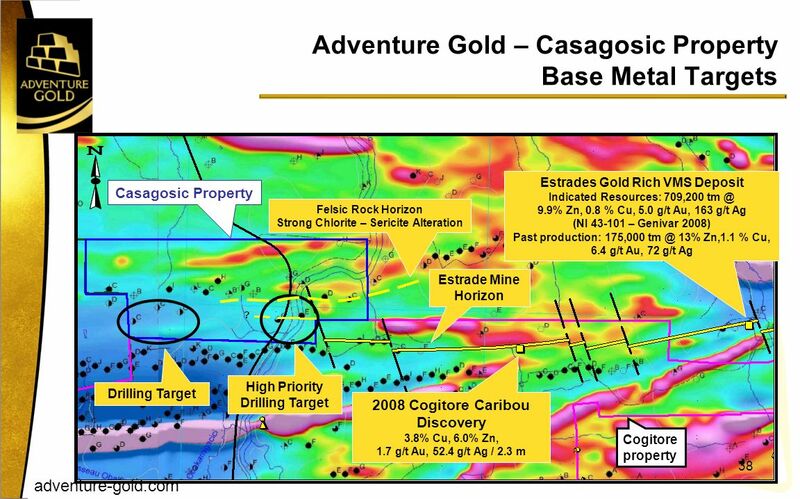 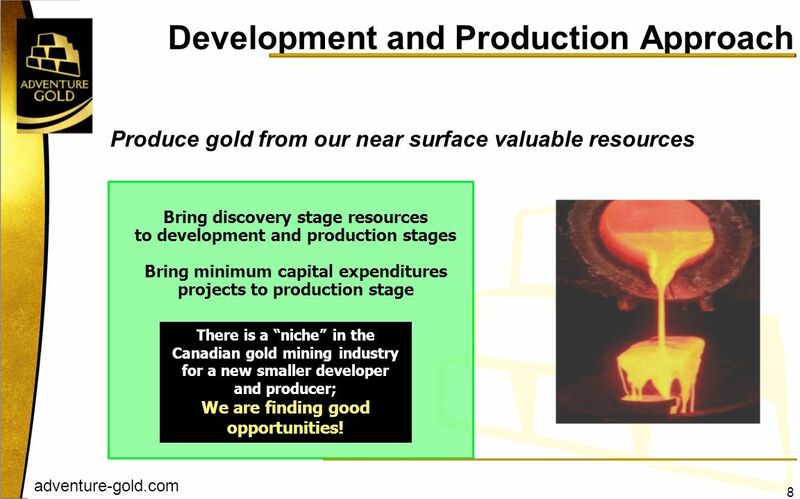 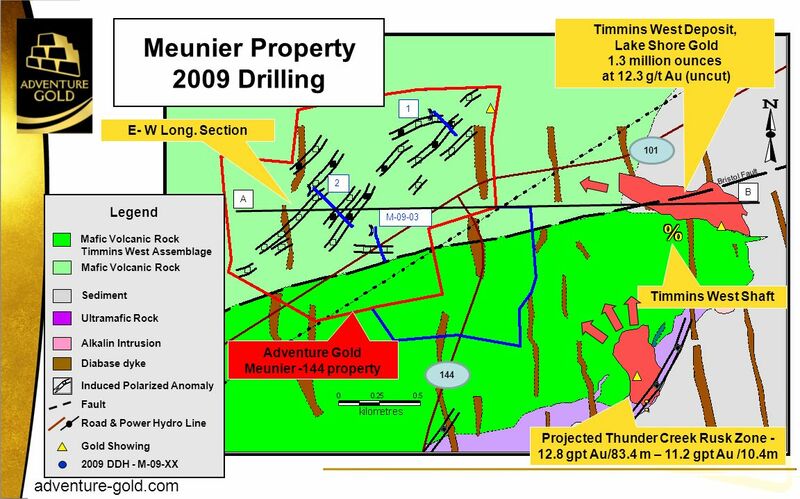 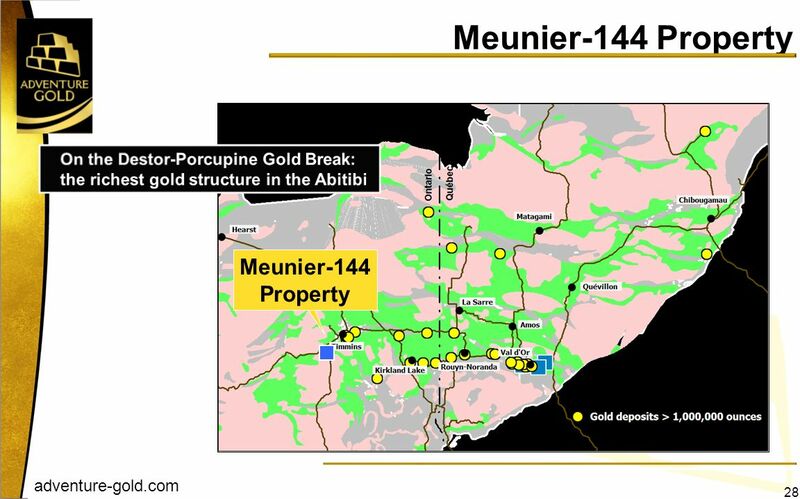 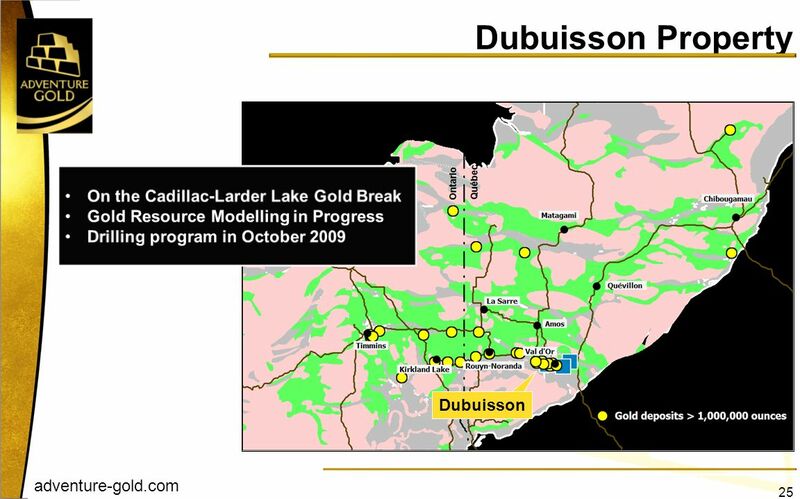 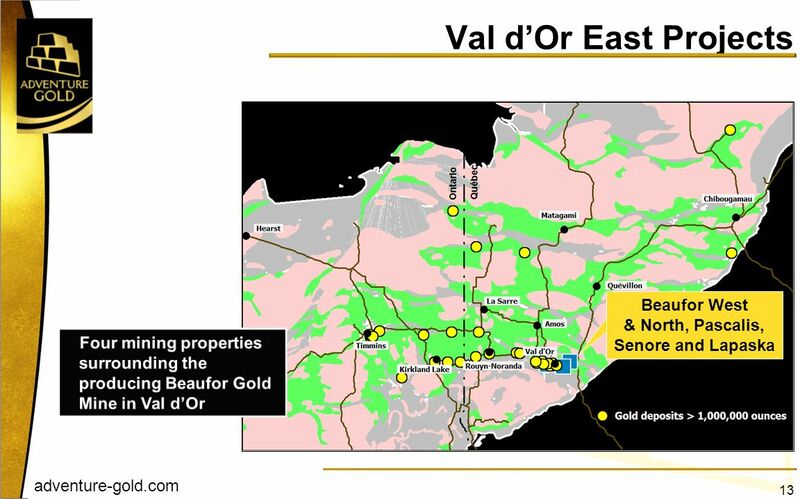 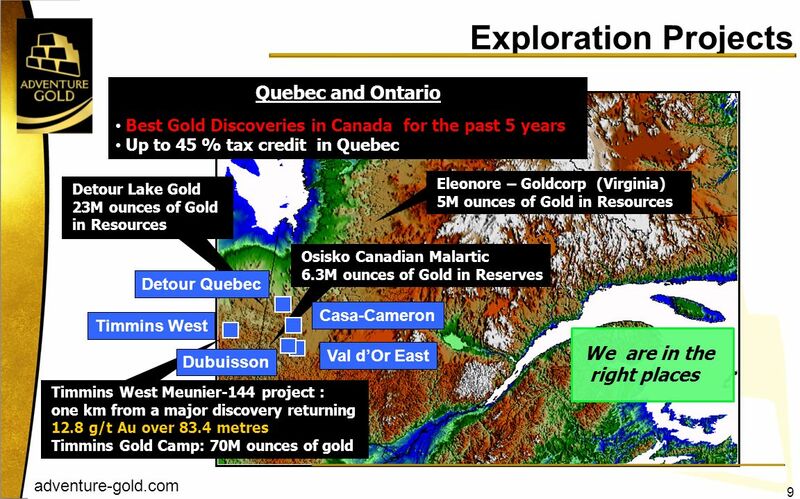 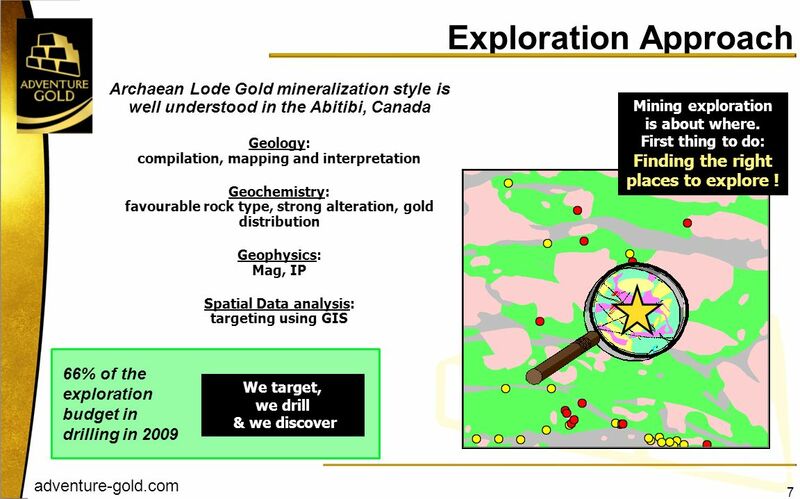 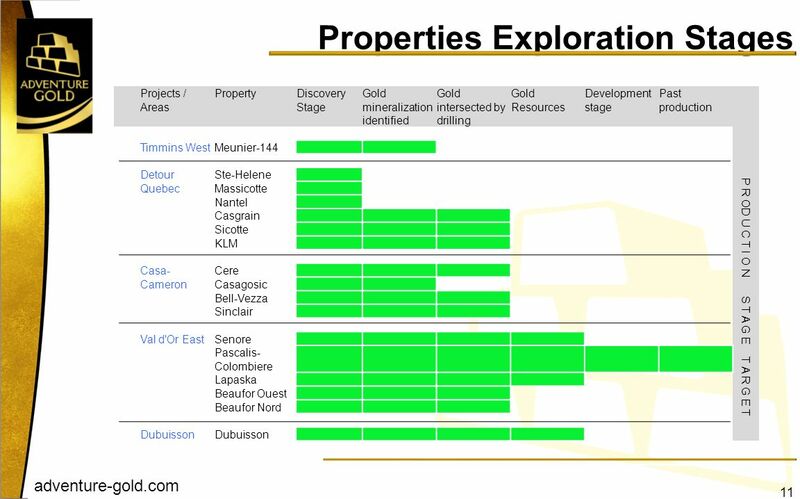 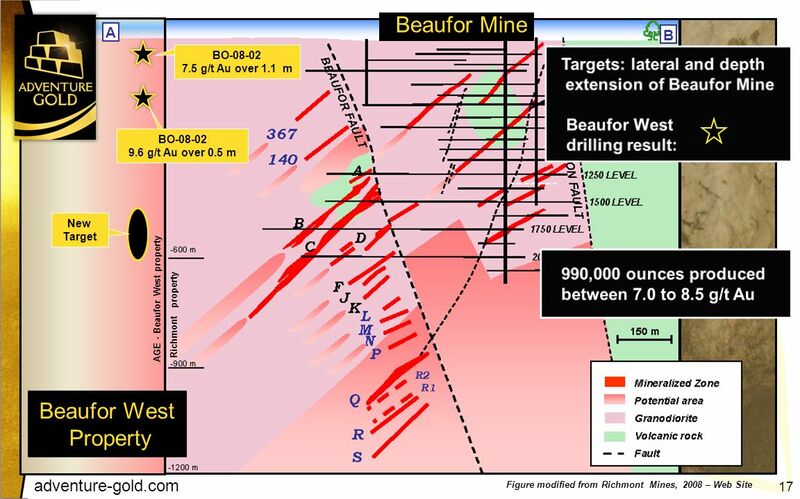 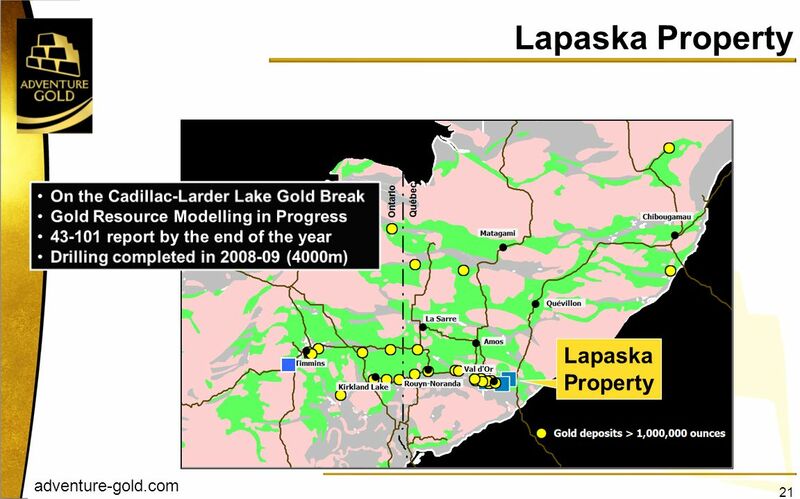 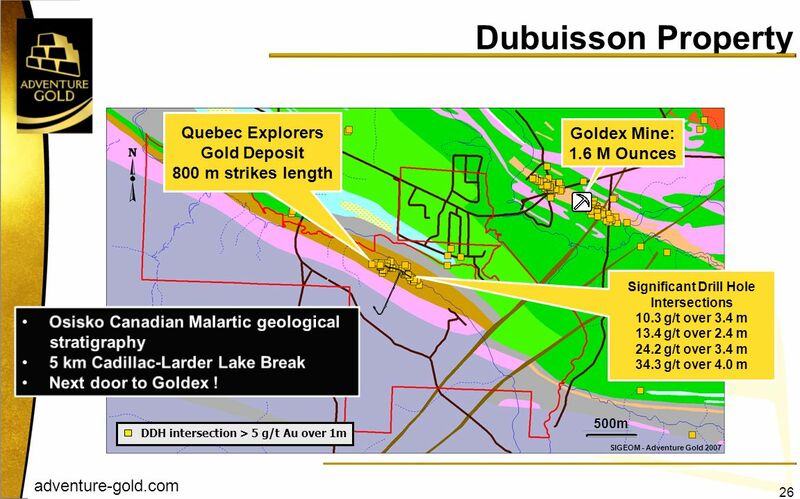 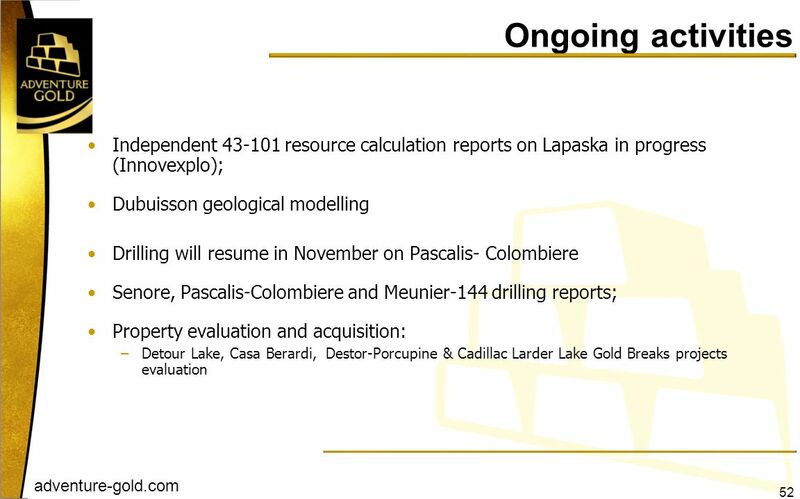 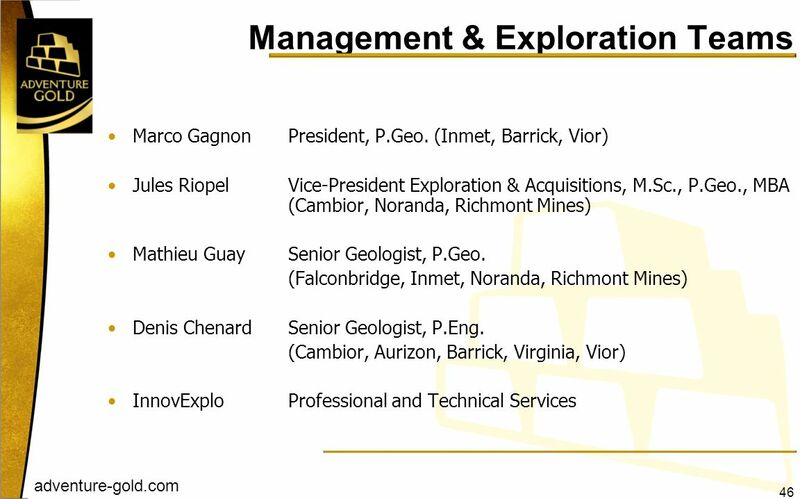 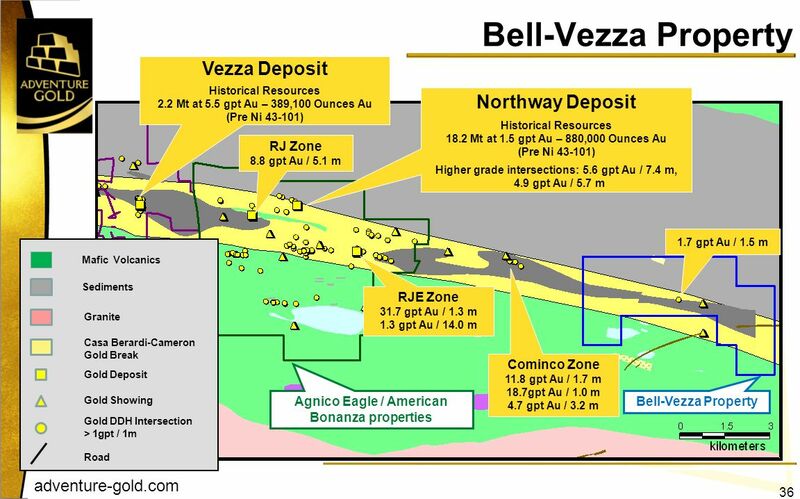 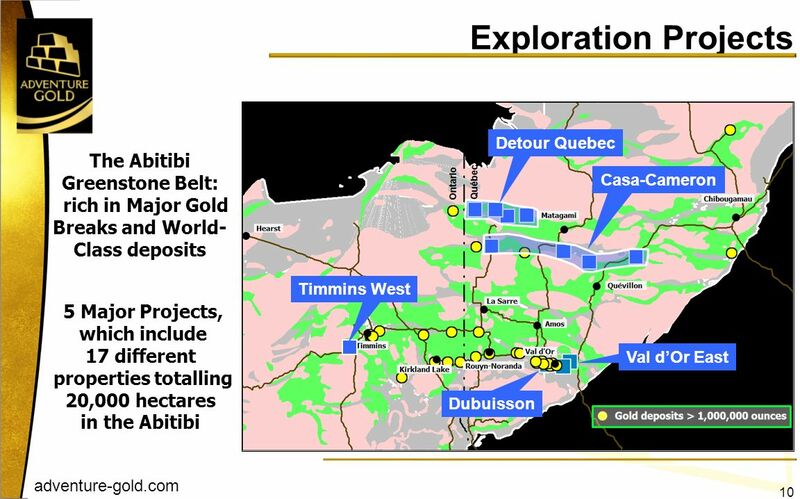 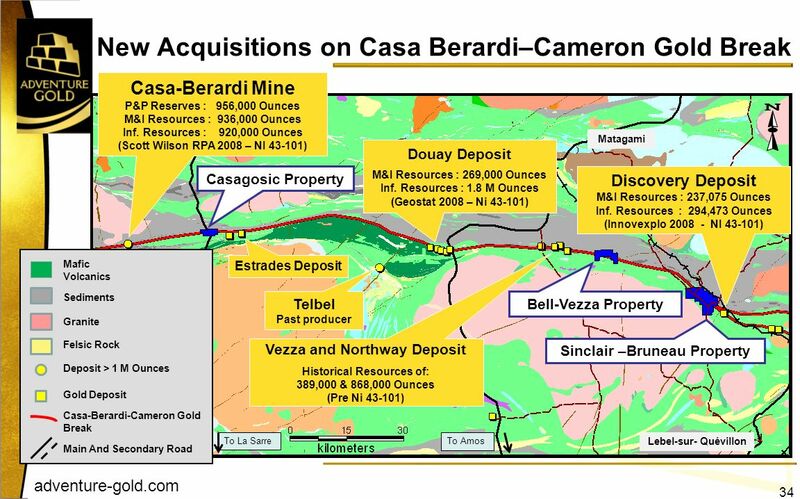 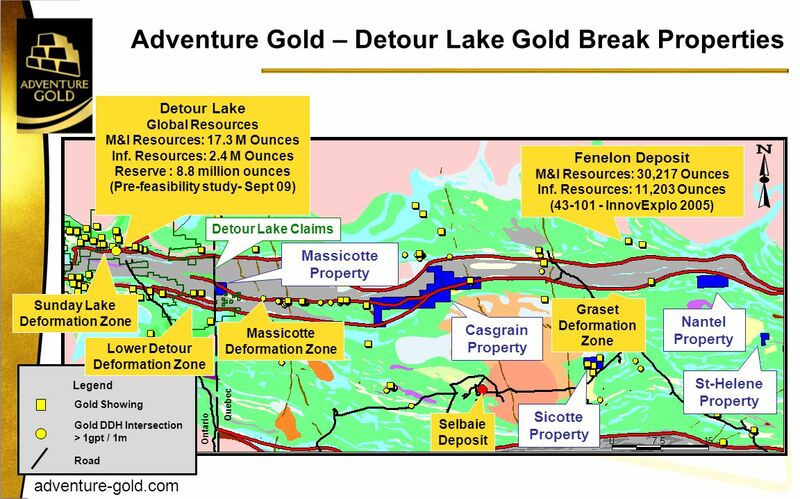 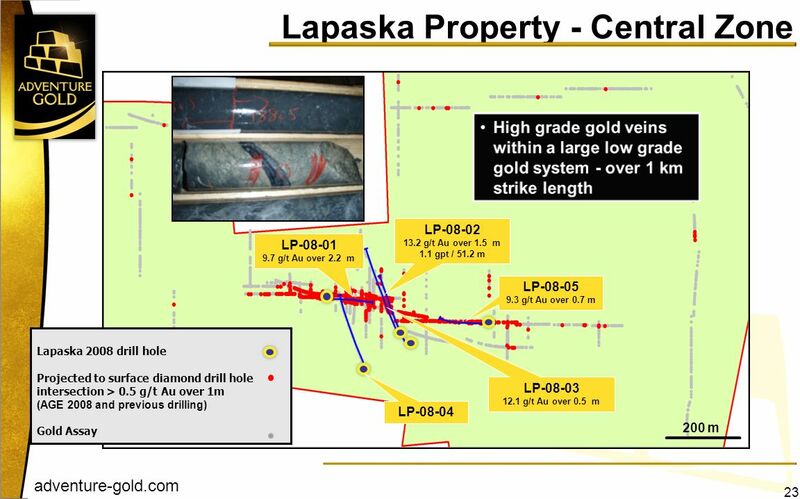 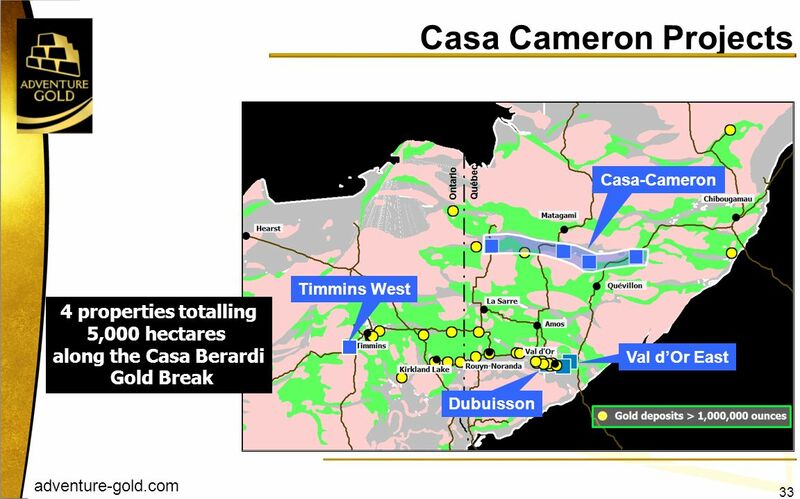 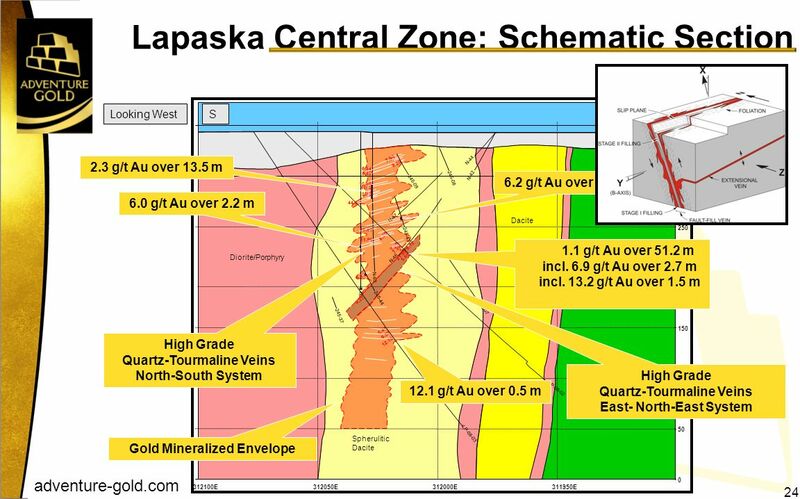 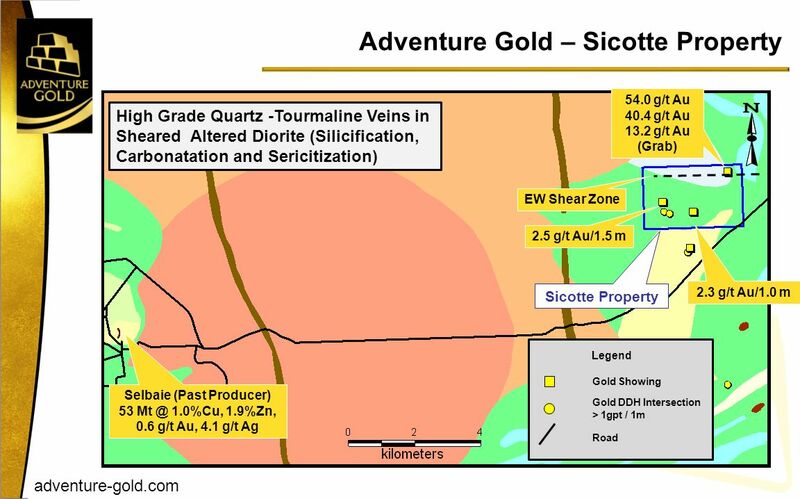 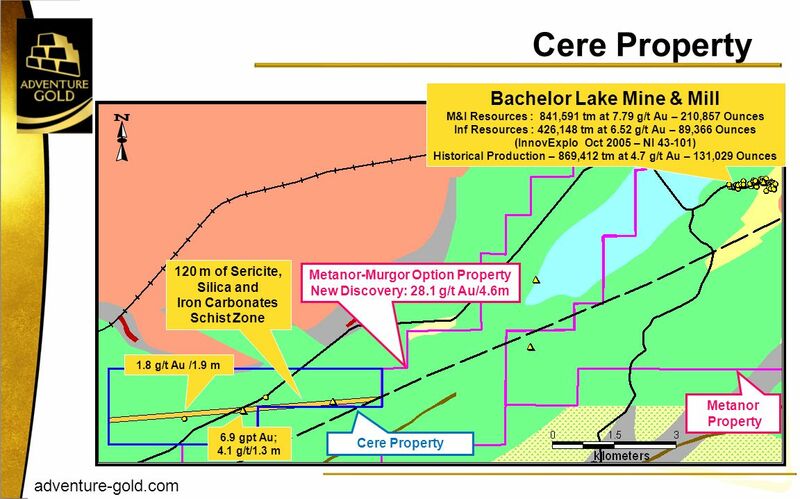 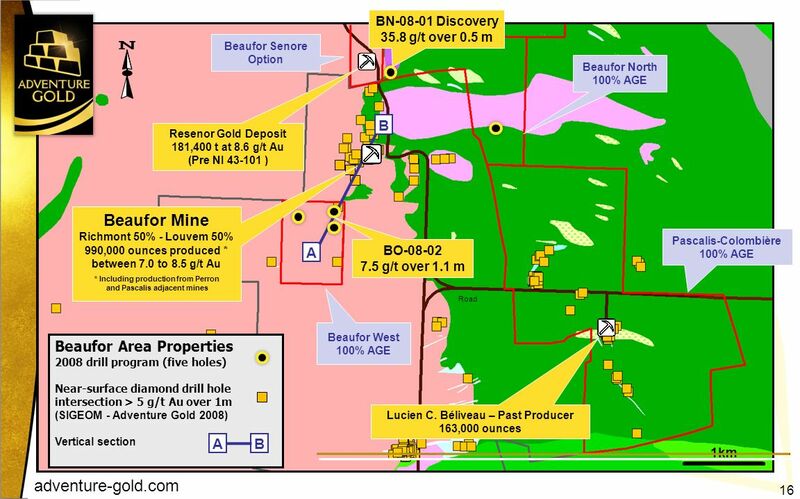 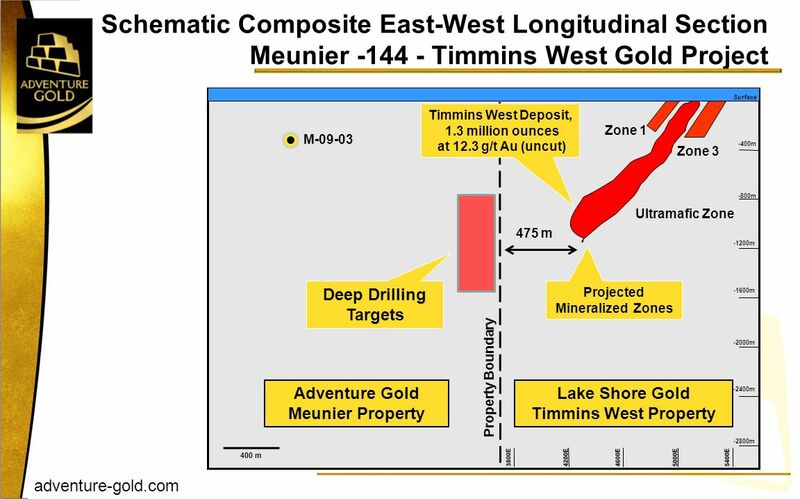 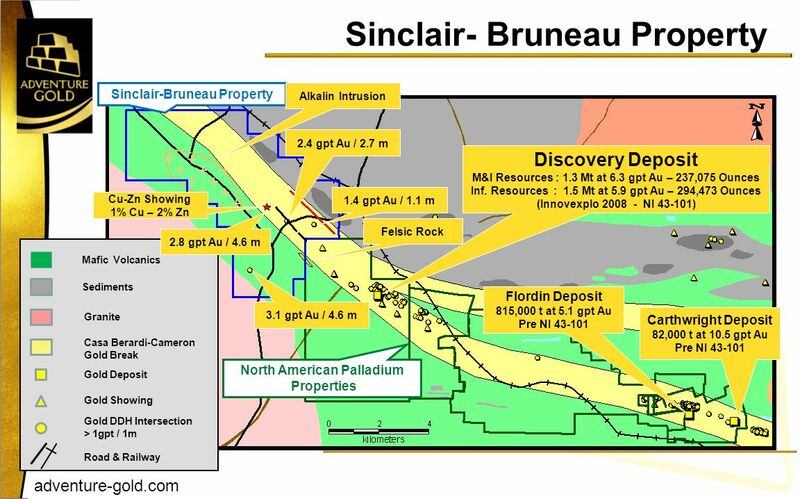 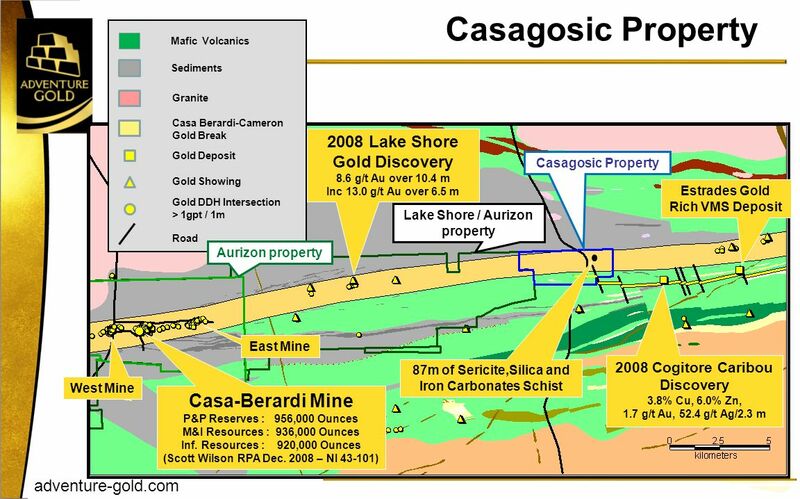 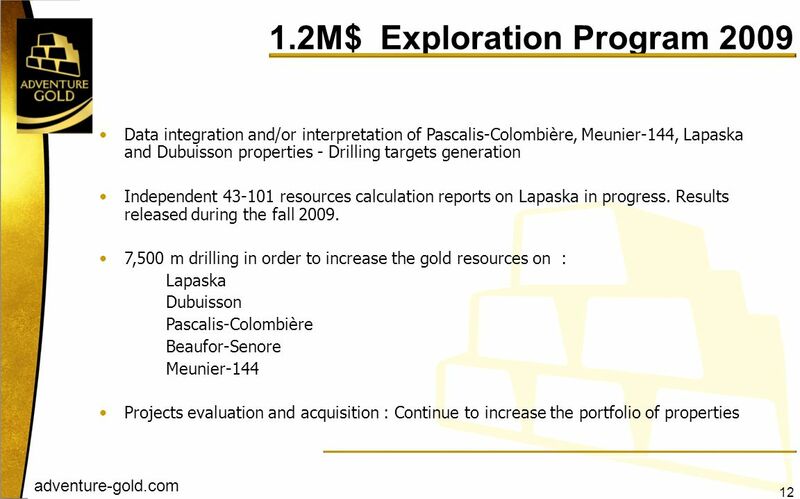 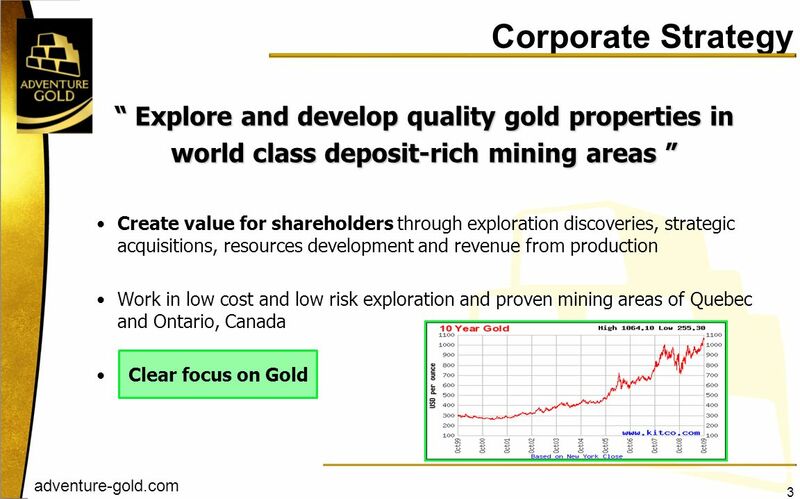 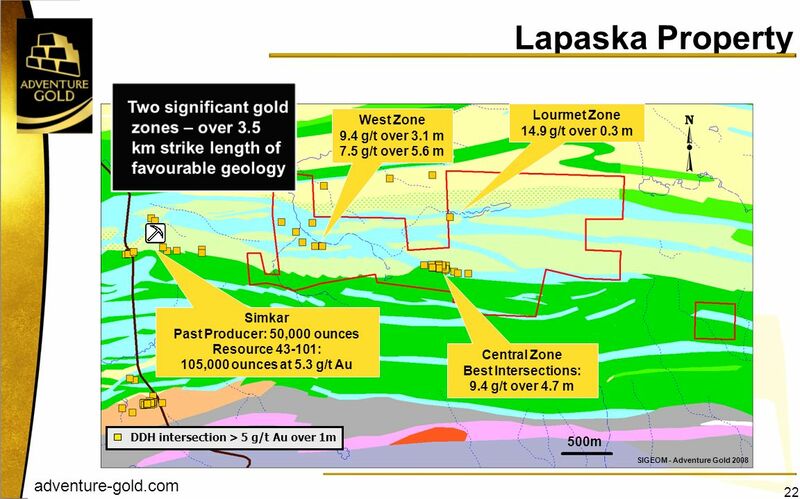 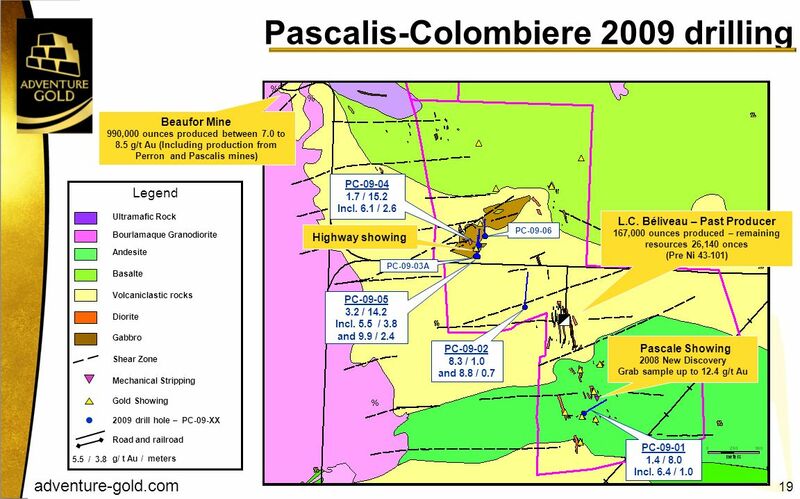 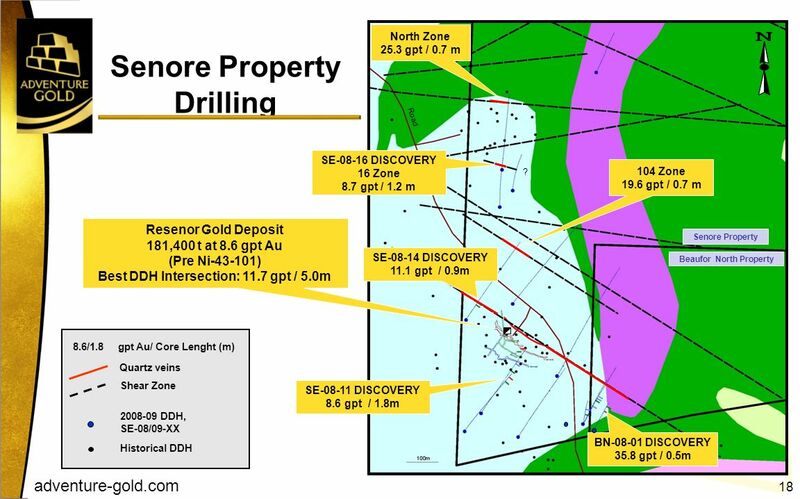 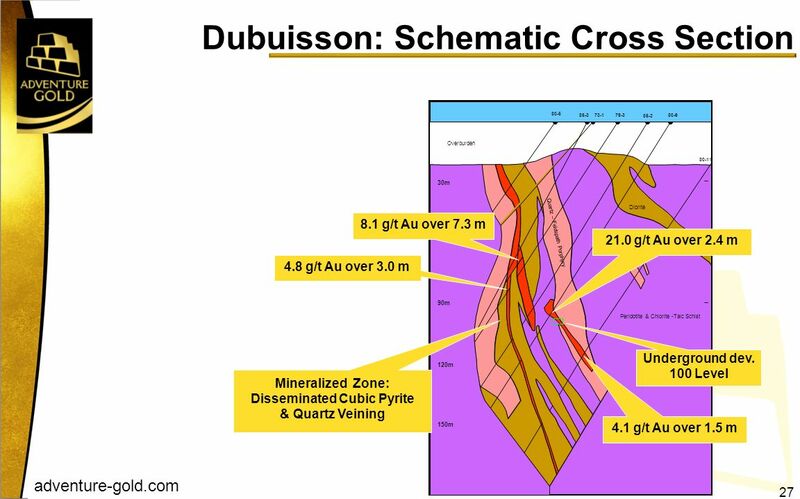 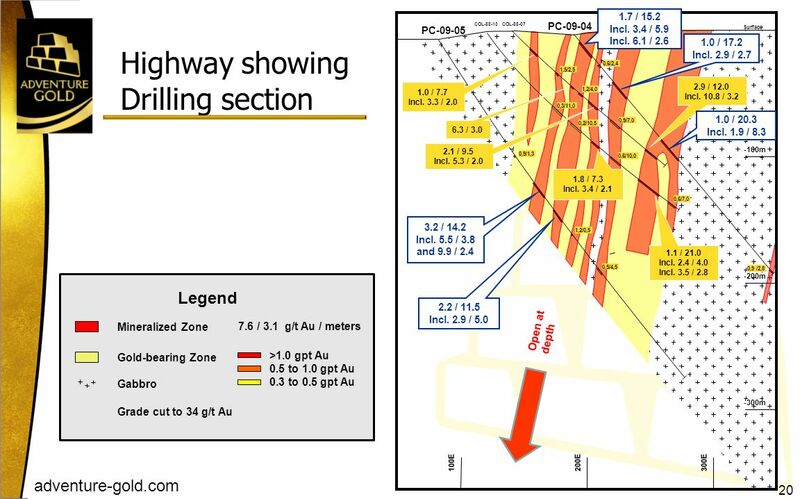 Produce gold from our near surface valuable resources Bring discovery stage resources to development and production stages Bring minimum capital expenditures projects to production stage There is a “niche” in the Canadian gold mining industry for a new smaller developer and producer; We are finding good opportunities! 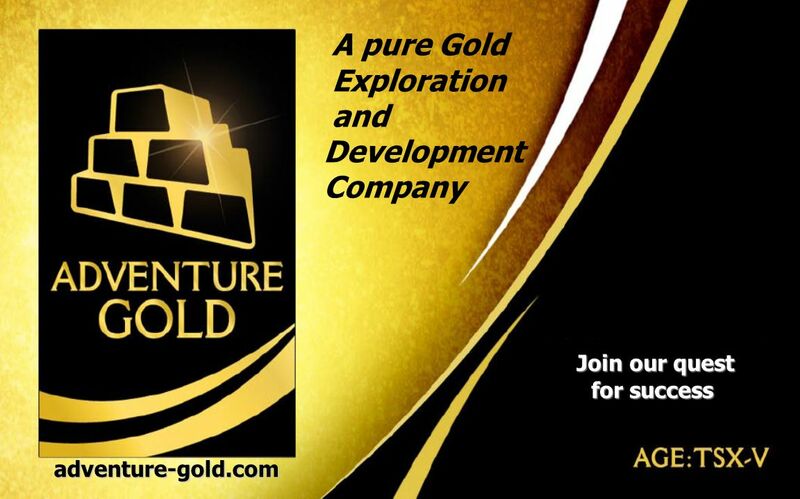 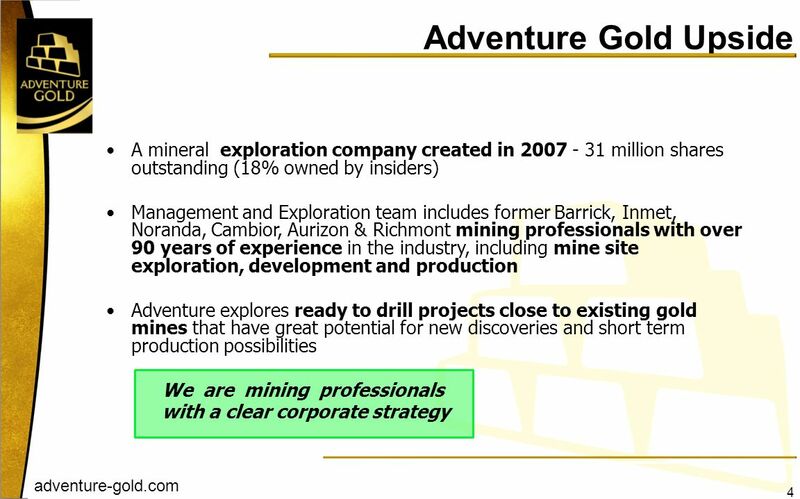 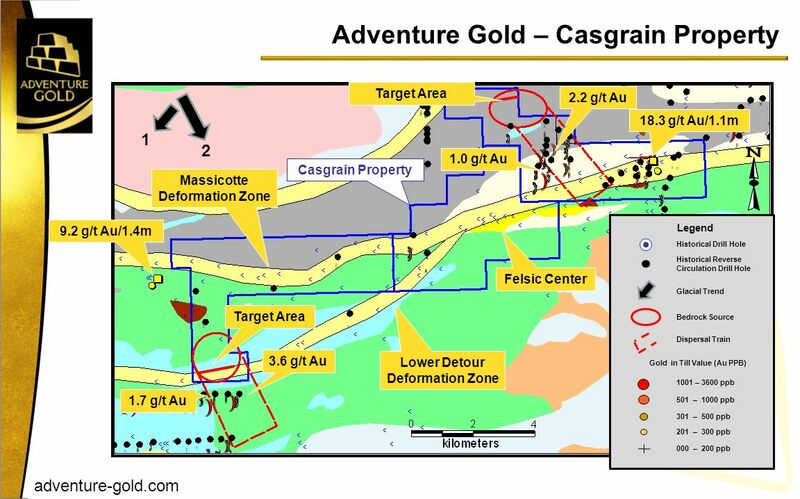 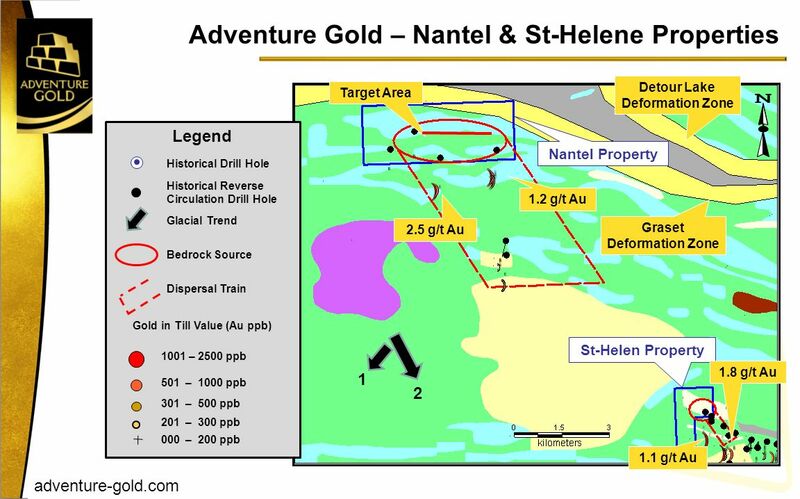 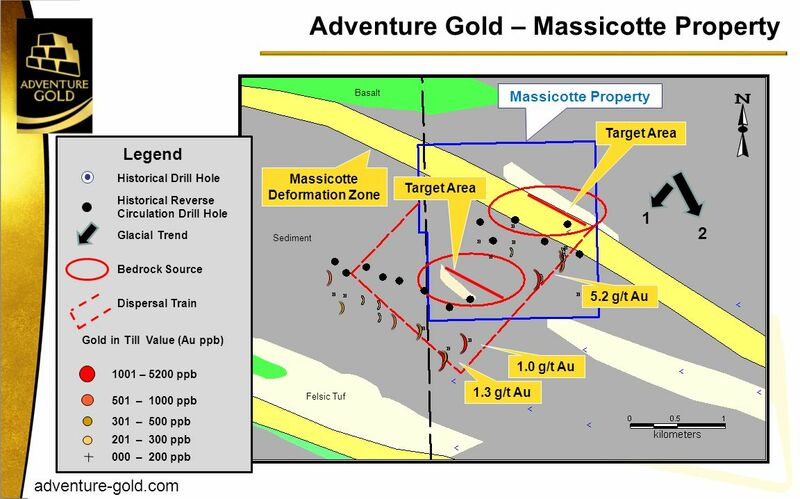 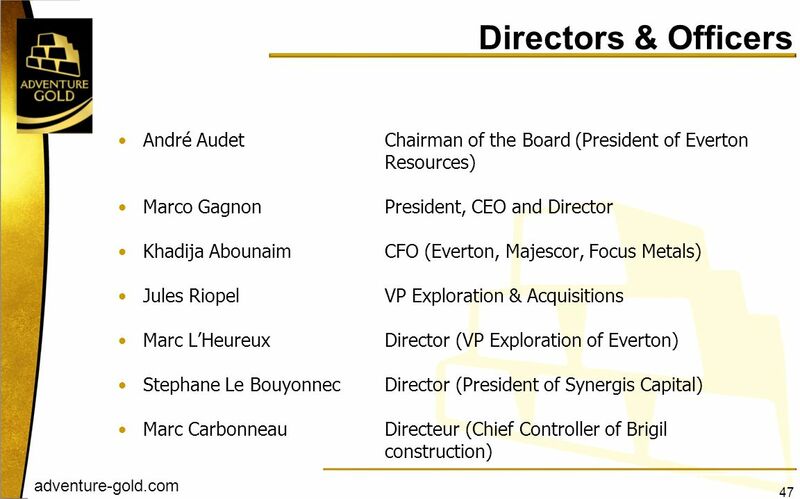 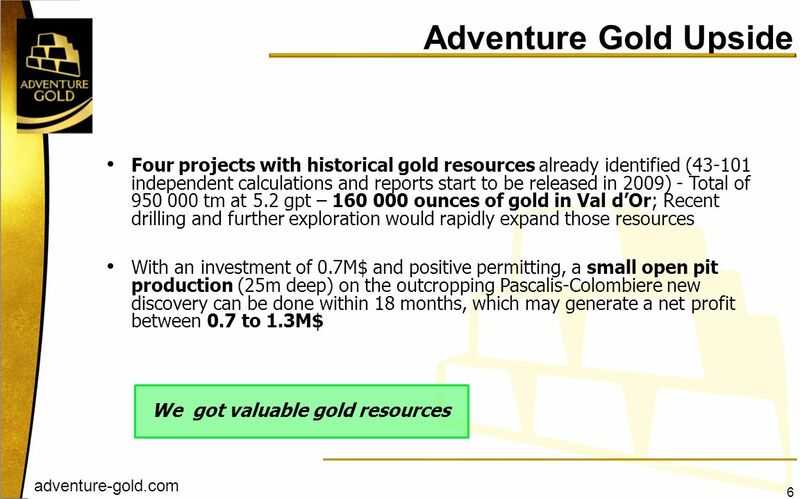 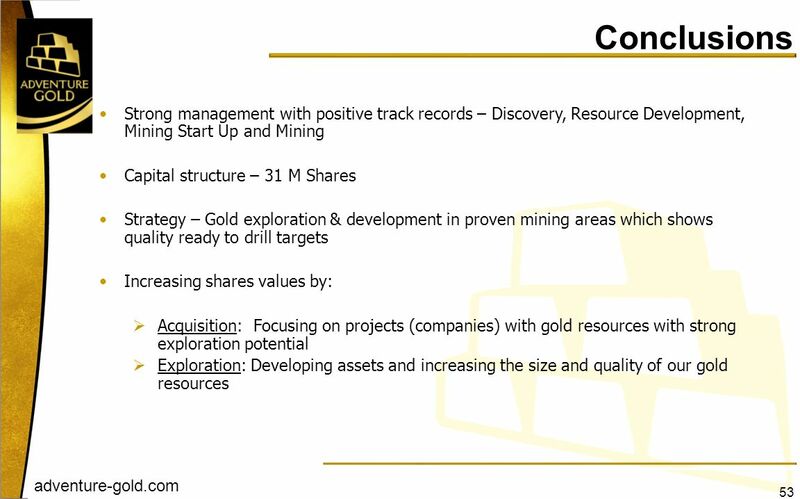 Download ppt "A Pure Gold Exploration and Development Company www.adventure-gold.com."